Motorcyclists often suffer catastrophic injuries when they are involved in a collision with a car or truck. Last month a man died in a motorcycle accident shortly after purchasing his first motorcycle. He had only driven three miles on his new bike when he got in an accident with a tractor trailer. The 59-year-old man had just bought his motorcycle on June 27 and was riding on the highway when he veered slightly to the right and crashed into a tractor trailer. In the impact he was thrown from his bike and ended up sliding beneath another vehicle. He died at the scene. 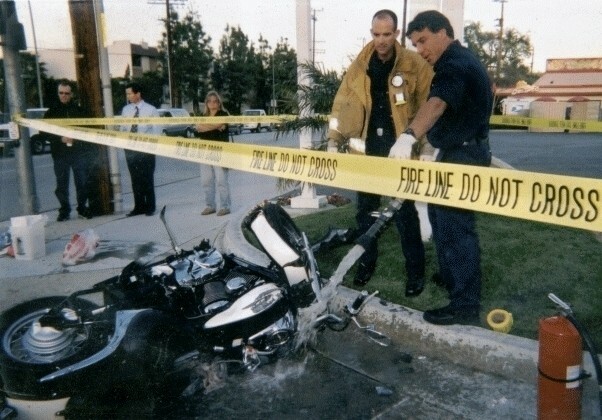 Motorcycle accidents can be caused by any number of factors. Some of these can include other driver negligence, defective vehicle parts, motorcyclists who fail to follow the rules of the road, roadways that are not well maintained, etc. In many cases, other drivers are not aware enough of surroundings and may not even notice motorcycles or give them enough room. If you or a loved one has been involved in a motorcycle accident in Missouri, contact a Missouri motorcycle accident attorney. You may be entitled to damages for medical expenses, personal property damage, pain and suffering, lost wages, the cost of rehabilitation, and other damages. If a family member has died you may have the option of filing a wrongful death lawsuit. If you’ve been injured in a motorcycle accident, don’t talk to the insurance adjuster until you have had a chance to discuss your accident with an experienced personal injury lawyer. Call The Hoffmann Law Firm, L.L.C. at our 24 Hour Call Center - (314) 361-4242.